No great app stands alone. The best-in-breed are fueled by data and interact with other systems or devices to provide users exactly what they need as they need it. And in an increasingly crowded marketplace, it’s not only the best apps that are tapping into APIs to create context-rich experiences. Weaving a well thought out approach for data access into your mobile strategy is becoming a necessity to effectively build and maintain apps at speed or scale. Equally important, it also opens the doors for new ways to innovate. We turned to four experts to hear where they think the greatest opportunity exists. 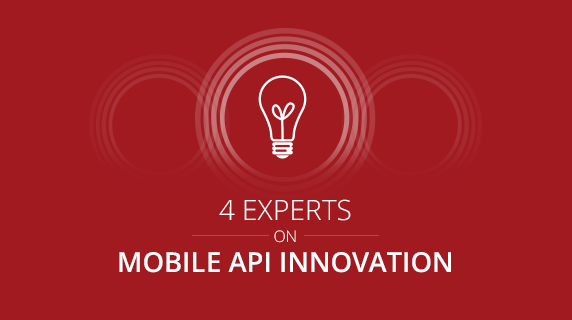 The Question: Where do you think the most innovation potential lies in mobile API usage? The Answer: Mobile APIs allow large applications to be easily broken down into microservices that can be served up individually to different groups of consumers. 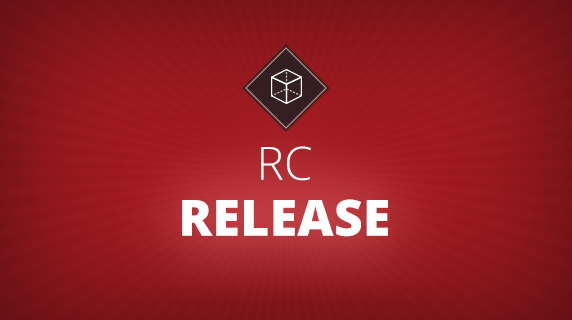 This transformation will provide deeper integrations across broad market segments, which will allow us to utilize big data in more innovative ways. With RESTful APIs and webhooks, the world has standard access to push and pull data as well as the ability to subscribe to events that are important for any microservice. Limelight Health is using this approach to provide our unique and innovative insurance quoting through secure microservices to our customers who then integrate quoting and quote data into their own platforms with very little effort. The Answer: From a practical perspective, most businesses are not ready for mobile API innovation. In broad strokes, it is fair to say that many companies are barely ready for mobile APIs. While corporations have spent time, effort and dollars on their SOA strategies, most were built with the web in mind. Mobile requires a different type of API, ones that are highly performant and efficient. This requires a change in thinking about APIs which leads to a change in approach. Most folks we work with are on board with the need to be mobile-ready, however the pace in which they can enact change varies. 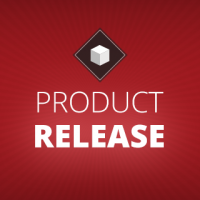 MBaaS vendors provide a nice way for companies to quickly enable mobile-ready APIs. 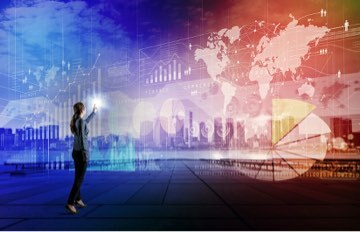 To a certain extent, innovation is coming from the MBaaS vendors that enable their clients to act quickly and provide standardized, secure and flexible APIs to both enterprise and mobile specific data and events. Mobile APIs, if leveraged correctly, can enable more people to have quicker access to enterprise data. Combine this with the ability to integrate (and even mash up) with mobile-specific services like analytics, notifications, context, location, etc. The potential for game-changing mobile apps is enormous. Let the ideas flow and the mobile innovation begin! The Answer: APIs are being redefined as a human interface problem rather than a technical implementation issue. API innovation from this perspective is defined as reducing friction around how humans interact with the world. The growth of API adoption has laid a systematic foundation that can be leveraged for decision support, automation and discovery. The “secret sauce” becomes the value-add between machines and humans. For example, speech interfaces that connect computers to people, computer vision that helps people discover relationships with photos or aids in human vision and diagnosing health issues by analyzing personal records (or samples). Services such as API.ai, IBM Watson, Google Photo, Facebook M and Blockspring come to mind as innovators that are redefining human interaction. It’s not an implementation issue, where we ask “how can we develop an API”. Rather, it’s “ok, so what can we build with it?” These questions open new revenue channels and (hopefully) help advance society. That is innovation. A particular challenge with developing APIs is related to service integration and transformation. Perhaps that’s a practical starting point and likely the catalyst for interesting things to come. The Answer: Not so long ago mobile apps had no choice but to connect directly to legacy back-end systems. As we’ve moved to a mobile-first approach there has become a real focus on mobile APIs. Users want all their data and the challenge is providing developers with tools to compose and filter that data to supply the best experience on a mobile device. Innovations around exposing legacy data sources through APIs and moving business logic into the middle tier results in simpler, more adaptive mobile apps. 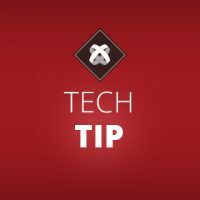 Couple this with greater synergy between the client and server data models means ease of caching and synchronising, which is hugely important when interacting with a mobile client. 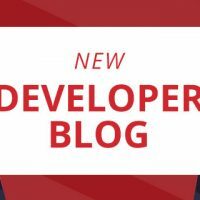 Mobile API best practice is essentially best practice for API development in general and we’re seeing tools that ‘mobilise’ data such as Appcelerator Arrow being deployed further down the stack, benefiting a whole range of client applications and devices.